Mice and rats pose serious risks to your health and property. A single mouse can contaminate food and leave behind feces that put your family at risk of bacterial and viral infection. Our rodent service begins with a comprehensive inspection where we identify areas of activity and potential entry-exit points. Based on your home and level of infestation, our technicians will develop a customized rodent control plan for eliminating the infestation and preventing re-entry. Prior to initiating service, we will explain our rodent control methods and make recommendations on how to prevent future infestation. 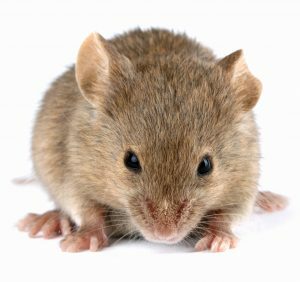 For homes with extensive activity or those at greater risk for infestation, we offer Perimeter Rodent Control Programs. These programs provide fixed service intervals and offer outstanding reduction of rodent populations. Our regular encounters with rodents give us the knowledge and experience to identify and eliminate even the most difficult rodent problems. It is our experience that no other control methods are as successful as traps such as snap traps, multi- catch traps and glue board traps. In most cases rodenticides are too dangerous to use because of safety issues. Due to the chances of non-target poisoning it is against our company policy to place rodenticides inside homes or most businesses. The danger of non-target consumption of rodenticides by pets or even humans out weighs their effectiveness. Additionally, a rodent that is poisoned by rodenticides does not always die at the time and place of poisoning. They can die in difficult to locate areas such as in wall voids and produce a strong odor. It can take more than a few weeks for these odors to disappear. Snap traps will kill the rodent at the trap and can be disposed of properly before the dead rodent contaminates the surroundings. Traps can be placed in protective boxes and out of the way locations in order to keep non-target animals from being snapped and dead rodents from being visible. For most structures 50 to 100 mouse traps are placed out to quickly control mice, and 25 to 75 rat traps are placed through out the structure to control rats. Initial Inspection Fee: $75.00 includes inspection and development of treatment plan. Non-refundable set up fee includes: Set up and removal of traps. All rat traps must be placed pre-baited for 48 hours (traps placed unset with bait). This process allows rats to get comfortable feeding from traps before trapping. Fee to check traps include: inspecting traps, removing dead mice/rats, re-baiting/re-setting traps. A minimum of three days is required for service.